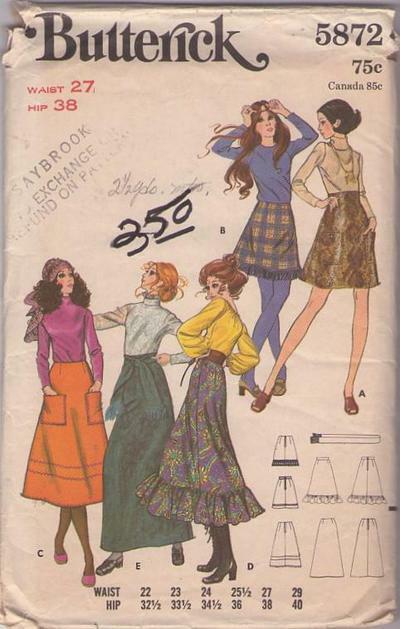 70s Boho, Retro Mod Clothing Patterns - Skirt in three lengths either darted into wide waistband or facing. With or without plain or buttoned patch pockets, ruffled hem, top stitch trim, self belt and purchased trim. Purchased tops. Beautiful hippie-bohemian skirt styles!